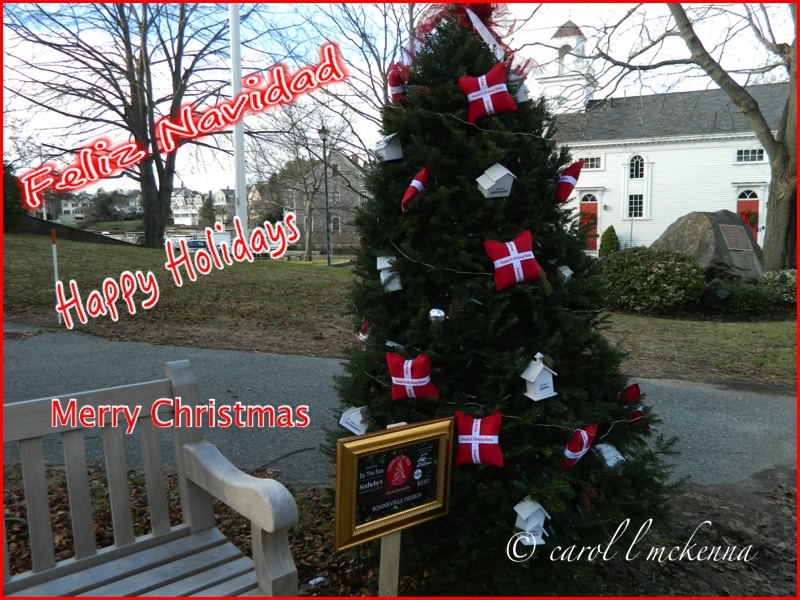 Happy Holidays from Our World in Manchester-by-the-sea MA to All! 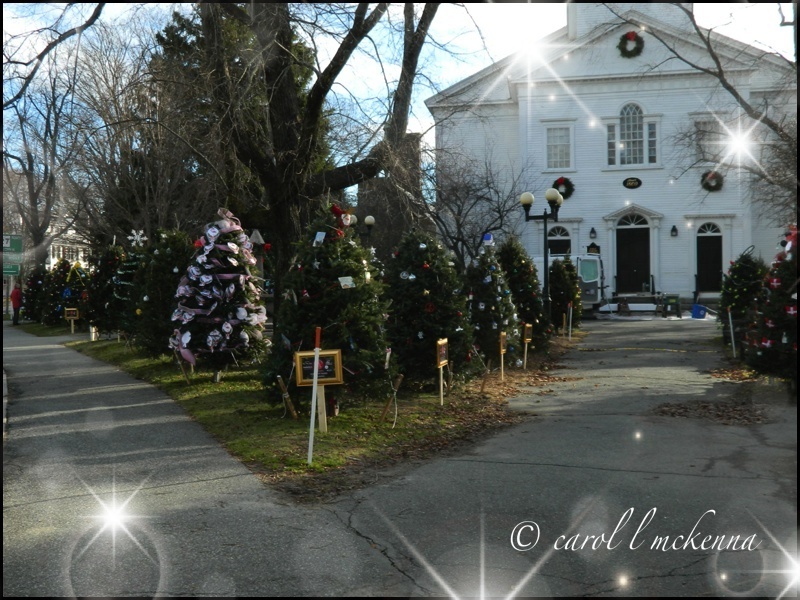 Great photos and so many different trees and decorations.I especially like the first photo. Great series of shots, and may you and your family have a wonderful Christmas. Merry Christmas to you and your family. 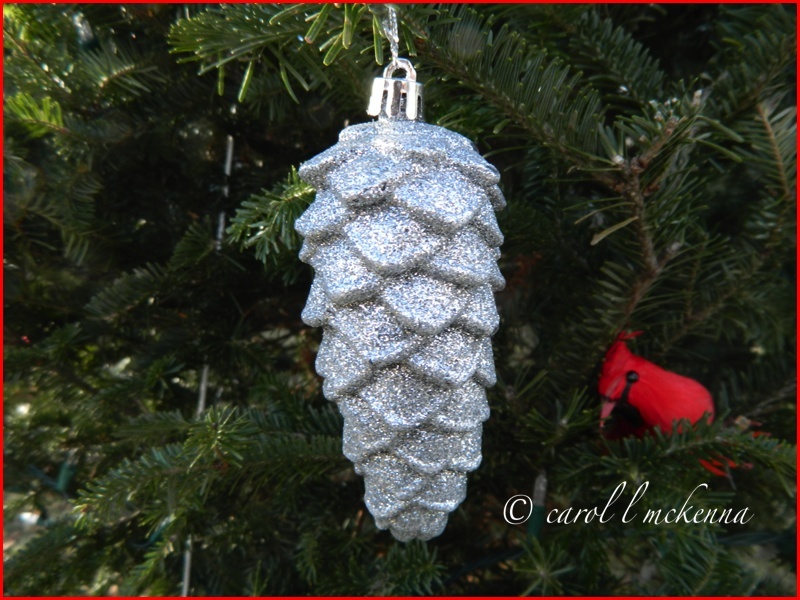 Thank you for all your comments on my blog this year. 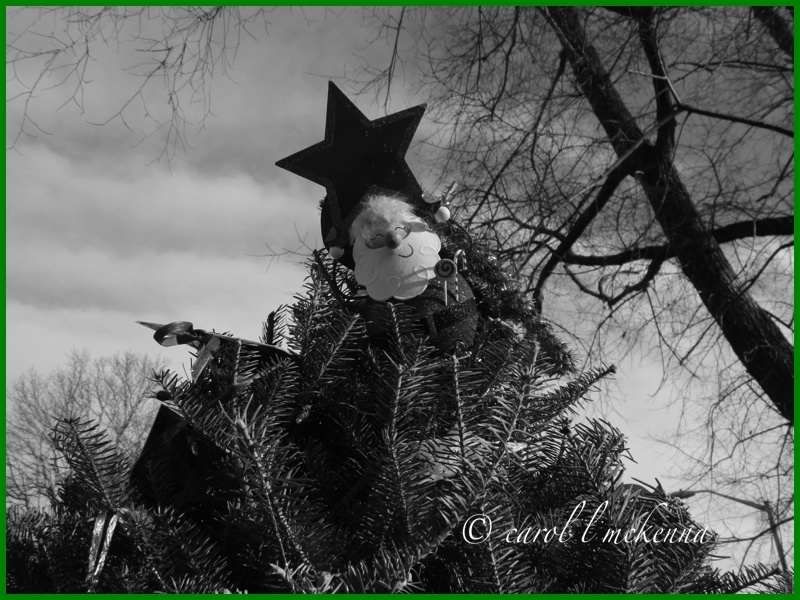 What wonderful Christmas photographs! You live in such a beautiful place! happiest of holiday greetings to you and yours!!! Merry Christmas to you and yours. And all the very best for the coming year. LOVE all the decorated trees-Merry Christmas!! Great images of Christmas preparation. Merry Christmas. 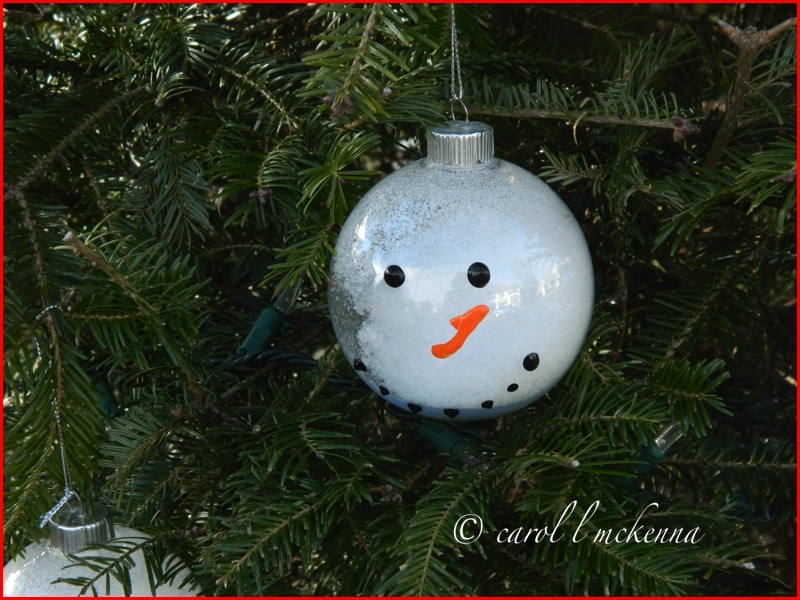 I like the twisted carrot nose drawn on the ornament that doubles as a snowman's head. :) It looks spontaneously creative. Feliz Navidad! What wonderful decors of Christmas. Happy Christmas to you and ArtMuseDog. How festive. Wishing you all a wonderful Christmas. Lovely Christmas post Carol. Merry Christmas. Wonderful photos - perfect foe the season. Merry Christmas & Happy New Year! It's such a fun time of year! Love those detailed pics of the Christmas hangings on the tree. Wow. I didn't know you did Reiki! Good for you! Wishing you a very Merry Christmas and a joyous New Year! Do not wating for holidays, enjoy everyday.